Today we began Stage 1 of the race in snowy Alpine, Wyoming. Today's 28 mile race took racers through the majestic Grays River Range. 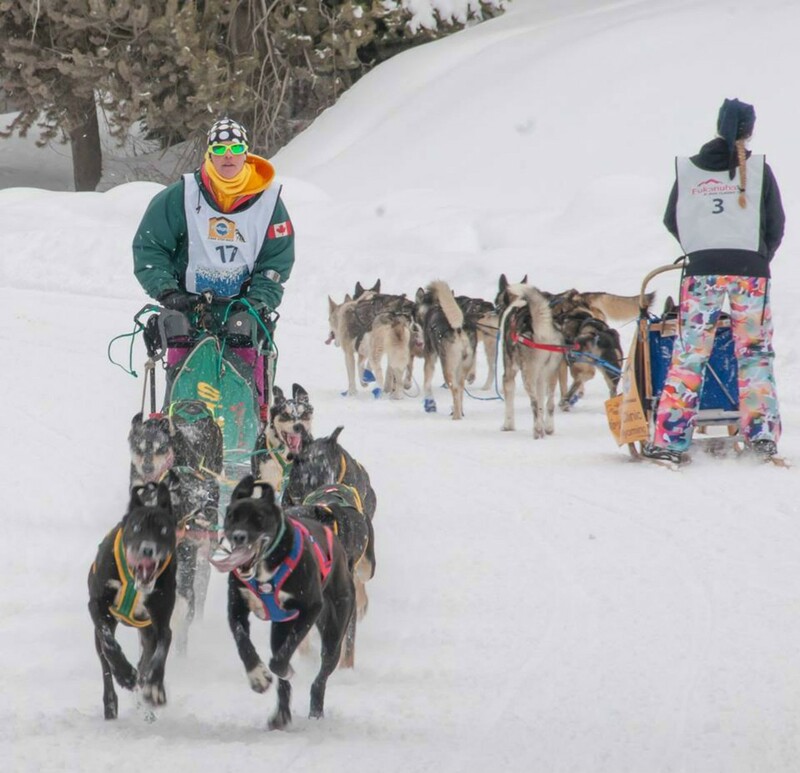 Alpine is 36 miles from yesterday's race in Jackson Hole with a population of about 900 people. Alpine averages 111 inches of snow each year! That is a lot of snow! We began bright and early in the staging area as teams were parking and preparing for today's race. Parking is serious business at the race. Small parking lots must hold musher, race crew, and spectators so the race crew carefully directs vehicles as they arrive. As mushers departed the chute, they were cheered on by a large crowd of spectators. After the last musher was cheered out, the crowd visited with the handlers, dogs and grabbed a bite to eat at the concession trailer. Handlers plan an important role in a sled dog team. 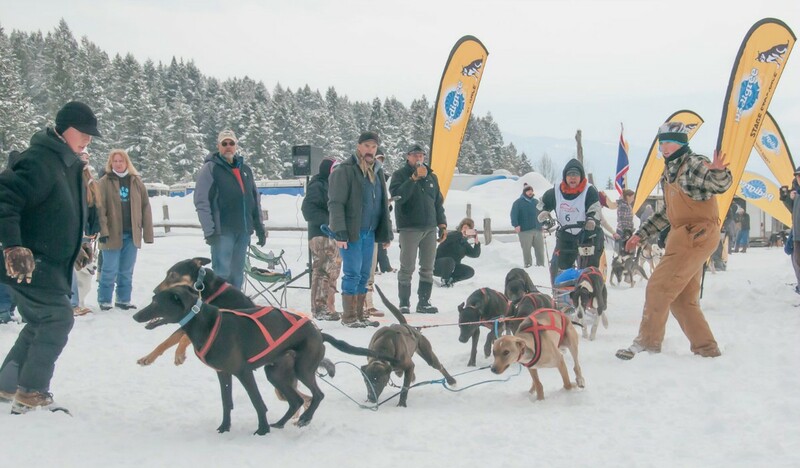 They begin the day by helping the mushers and dogs prepare for the race by putting out lines, prepping the sled and making sure the dogs are happy, healthy and ready to race. While mushers are on the trail the mushers change the bedding (straw or hay) in the dogs boxes, walking the dogs left behind, cleaning up after the dogs (pooper scooping) and working around the truck to be sure everything is ready to go for the next race. 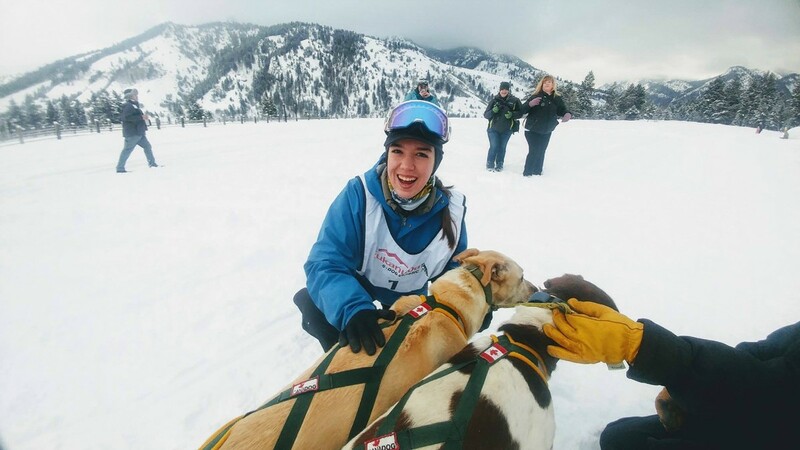 Handlers also help the musher to and from the starting line and can sometimes be a sprint for the handlers. As the racers began to arrive back, they were feeling great about their runs and in good sprits. 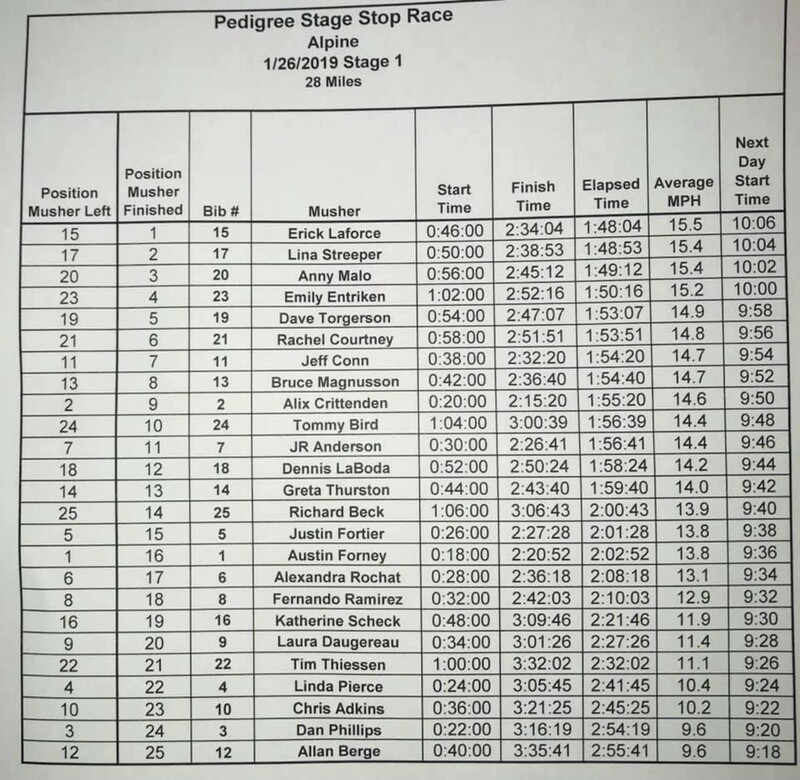 Check out the times listed below to see how your favorite racer did today. Tomorrow we will be in beautiful Pinedale, Wyoming. Mush on! !